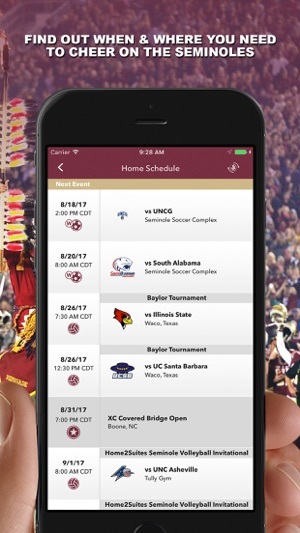 Calling all Seminoles fans – the official Florida State Seminoles Gameday application has a new look and feel for the 2017–18 season! 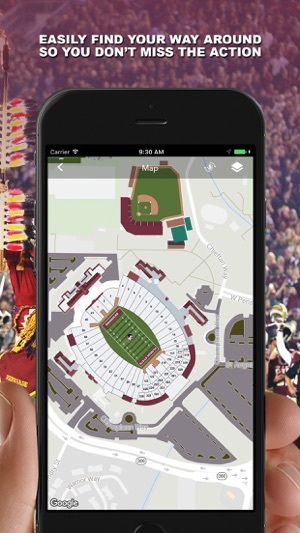 Whether you’re on campus or on the go, this app is a must-have for ALL Seminole fans. 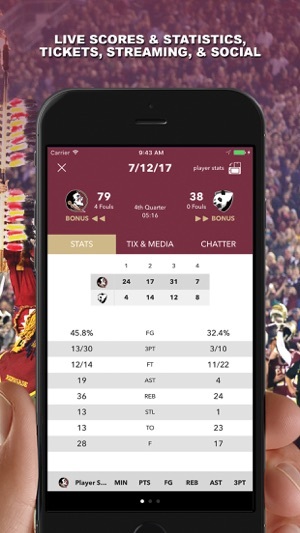 With FREE LIVE AUDIO, social media streams, and all the scores and stats surrounding the game, this free FSU Gameday application covers it all! 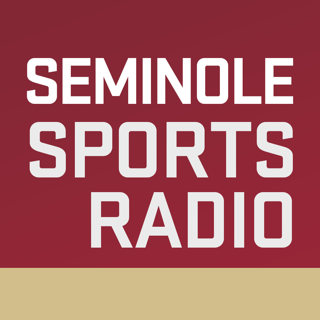 + LIVE GAME AUDIO – Listen to free live audio for football games and other sports throughout the school year. 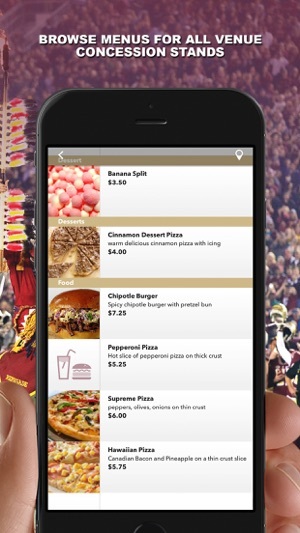 + SOCIAL STREAM – View real-time Twitter feeds within the app on gameday. All your favorite FSU accounts are pulled into our gameday Twitter feed. + FAN GUIDE – A home for all the information a fan could need including stadium policies and other need-to-know information to plan your gameday. + SCORES & STATS – All the live scores and stats that fans need and expect during live games. + NOTIFICATIONS – Personalize alert notifications – Personalize alert notifications – game reminders, score alerts, team updates and more – to the sports you want to follow! + GAMEDAY INFO – In-depth team information, including rosters, bios, team & player season stats. 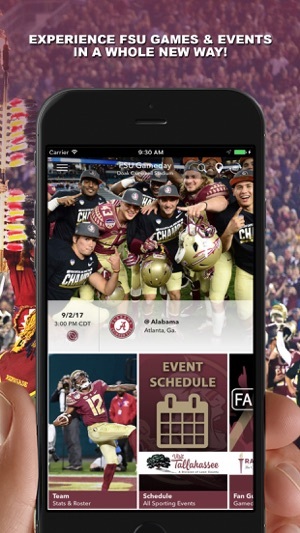 + SPECIAL OFFERS – Receive special updates and offers from FSU, including exclusive offers from corporate partners, player and team spotlights, ticket offers, and more! • Scoreboards now list the visiting team first and the home team second when appropriate. • The Go Back screen edge gesture works properly again. • Fixed a rendering problem in the staff biography view. 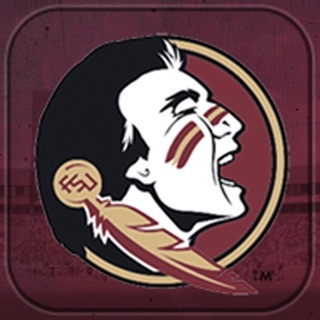 Honestly a very good app for Seminoles fans! Whoever is in charge of updating the info on this app needs to do a better job. The time for the next two football games have not even updated and the one against Syracuse is old news. That time was released before that game this past Saturday. Keep up with the info people. I’m not impressed with this app. Great way to keep up!! This is a good way to have quick current information regarding win/loss for each sport. Roster photos and personal information for each athlete is the only way I “get to know” the players.